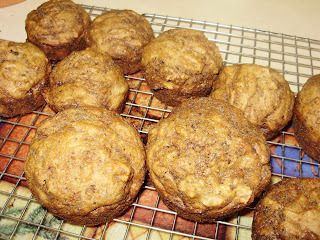 > It’s Tuesday and time to share what’s been Twisting in my kitchen. Each week Wardeh at Gnowfglins.com shares what she’s been Twisting and invites us to do the same. Be sure to pop over and see the great Twists being shared and look what Wardeh is doing with liver. In fact, it must be liver week. Yolanda is also sharing about liver and so am I. Dinner one night last week was Beef Liver, Onions and Bacon. Yum! 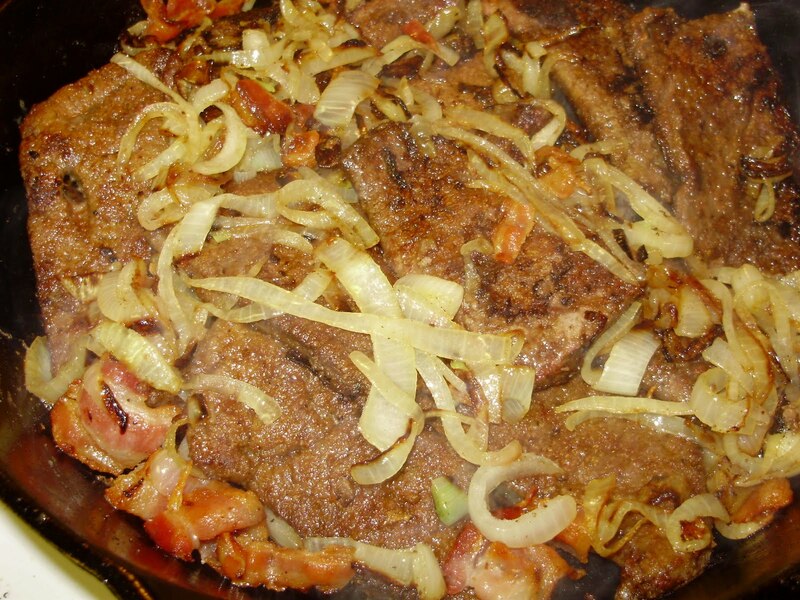 The key to great beef liver is starting with high quality (grass fed) beef. We get our beef each month in a CSA from Bar D L Beef. If you are in Central Wyoming be sure to check them out. I believe that one day soon our Wyoming weather will turn nice and stay that way (did I mention we had snow on Sunday?). In anticipation of that I’ve been planning easier meals to accommodate how busy I know it will be with the garden, chickens and trees (Joe and I planted 19 trees on Saturday. I’m doing more trees and berries today). A few weeks ago my neighbors brought me a couple of freshly processed chickens. What a treat that is! We haven’t had chicken for months since I don’t have a local source right now for chickens and ours are not ready for processing (they are just under 7 weeks). Sunday night I roasted the chicken using this recipe from The Nourished Kitchen as a guide. Last night the leftover chicken became a very tasty Chicken Salad. 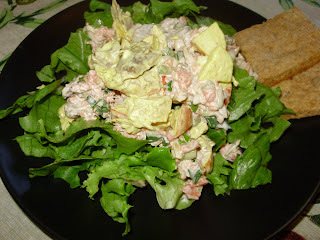 The star of the chicken salad was homemade lacto-fermented mayo. 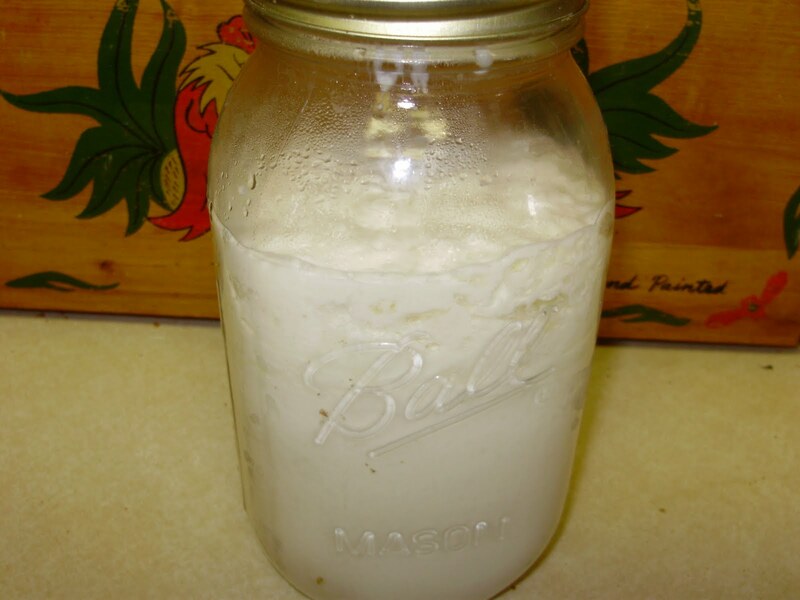 I’ve been trying to make a good homemade mayonnaise for months now. 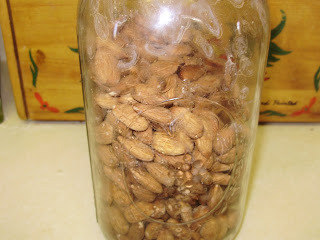 But each batch was never quite what my family was used to (you know, the soybean laden, very white, store bought stuff). So I’d kind of given up on it and just stuck with buying mayo. But last week after again watching Food, Inc (on PBS) Joe and I were talking about soybeans and GMO’s and mayo came up. He specifically asked that we stop buying that mayo and I keep trying to make a good batch. I think this last batch just might fit the bill. Of course, it’s not white (much to my little Lulu’s dismay) but it sure did taste great in that Chicken Salad! I’ve discovered lately that I’m not doing very many new and exciting things in the kitchen. Most of my kitchen time is spent just doing the basics. I do try to have one day where I do as much kitchen stuff as I can to get us through the week. Yesterday was one of those days. So this morning I went around the kitchen taking pictures of all the stuff I had in process or recently completed. If you are new to real/whole/traditional foods it is great to be able to pick one thing to focus on at a time. Eventually, you could become passionate (or obsessed) with those new things and then you end up doing lots of the same stuff each week like I do. Muffins are a mainstay here. I make them once or twice (sometimes three times) a week. I usually use a variation on a muffin formula from the Tightwad Gazette that incorporates soaking (you can see my formula here). It is the perfect ‘recipe’ for me because I am able to use up things I might have on hand. The muffins are always different so I don’t hear “muffins again?” very often. This is yogurt in the crock pot waiting to be put in jars and some to be made into yogurt cheese (which my girls love on all those muffins I make). Christopher loves yogurt and has it almost every day so I make a batch each week. These are almonds that have been soaked and will soon be put in the oven for drying. I only started making these a few weeks ago after the lesson in the Gnowfglins eCourse. Now we can’t get enough of them. Delicious! 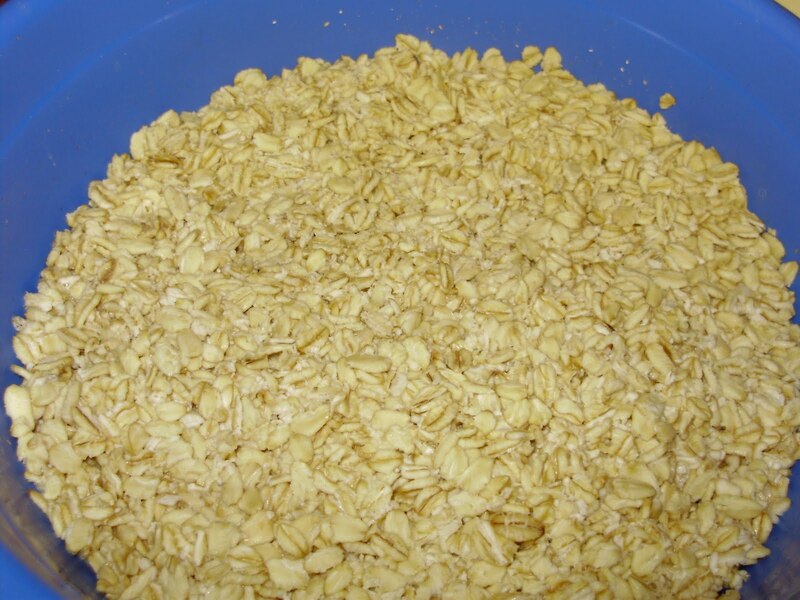 Here are some oats that have been soaked that will also be dried and will be used for things like granola bars and yogurt topping. After making these granola bars a few weeks ago they too are going to become a regular thing here. They do require a little pre-planning but are easy to make and so yummy. Another mainstay. 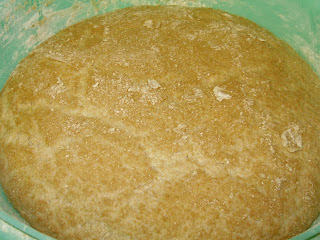 Sourdough bread waiting to be formed in loaves. Right now bread is being made a couple of times a week (the girls and I take turns) but one of these days I’m going to buy more loaf pans and make a double batch once a week. My second crock pot is also in use. 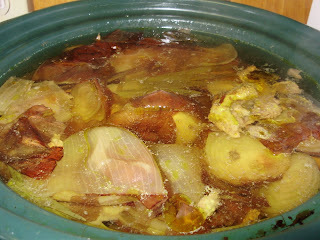 That chicken I told you about earlier is being made into broth (you can see how I make broth here). Broth is probably the easiest thing I make and in my opinion has been one the best changes to our diet. I use it in soups, gravies, for cooking beans, rice or other grains or even for poaching eggs in. 2 quarts of Water Kefir in process. This is something I still struggle with. Sometimes when I make it we love it and sometimes it is just okay and sometimes no one drinks it. I think with warmer weather coming up it will become more popular. I used two different types of sugars in these quarts (which is why they look different). Last weeks eCourse lesson was on water kefir and I got some great ideas from Wardeh on flavorings so we’ll see how this goes. I think the darker one (the ‘sugar’ is Sucanat) will become a cream soda and the lighter one (using cane sugar) will become a ginger/lemon. 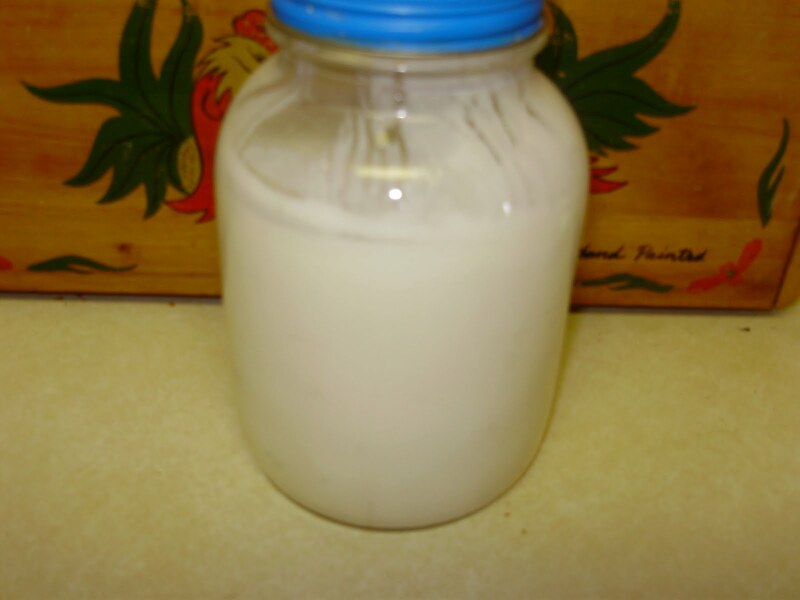 This is dairy kefir. I do make this just about every day (until we have kefir running out our ears then the grains get a rest in the fridge). We make smoothies (my 13 year old, Lulu, is our smoothie specialist), kefir cheese, salad dressings, and anything else I can think of to smuggle the kefir into. Here are a couple of gallons of Kombucha in process. I used two different kinds of teas which is why they look different. Kombucha gets used quite a bit here not only as a wonderfully tasty beverage but like the dairy kefir in whatever else I can smuggle it into. I love the flavor of kombucha so much that I use it as a substitute for wine in cooking fairly often. 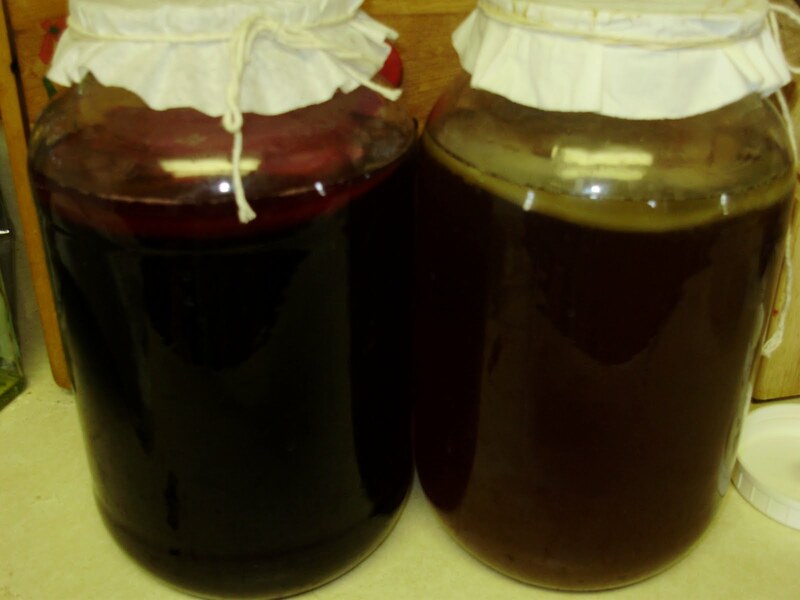 Our budget doesn’t allow us to buy wine very often and kombucha is cheap to make. We do lose the good probiotic benefits when cooking with it but it still tastes great. Buttermilk. I use this in our bread and also in salad dressings. It is so easy to make when starting with a small carton of store bought cultured buttermilk. Just put 2 Tablespoons of the buttermilk in a quart jar and add milk. 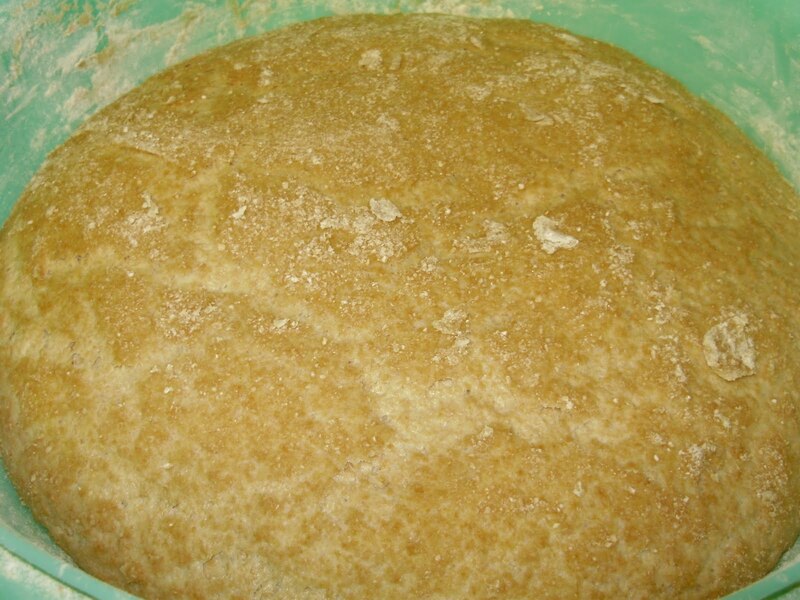 Let sit on the counter for 18-24 hours, then put in the fridge and that’s it. I keep it going by saving a couple of tablespoons each time and putting in more milk. What’s been Twisting in your kitchen? 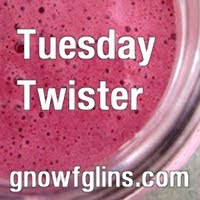 Pop over to Gnowflins to share and see other kitchen Twists. >Great post. Thanks for the tip about buttermilk. I'm always so annoyed when I see buttermilk in a recipe. You can't buy a pint of buttermilk, you have to buy a half gallon! >I love seeing what you're doing…it inspires me. In fact, I'm placing an order for water kefir grains today! Anyway. Mayo was one thing I could NOT master. Could you share your recipe so I can give it a try? 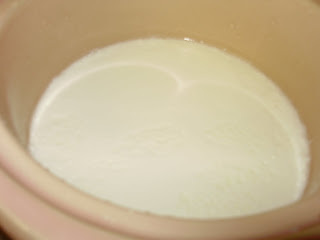 The buttermilk is super easy and cheap to make compared to buying it. Let me know how it goes with your water kefir. Like I said in the post my results tend to be mixed. Watching Food, Inc again has made me really think about how much more diligent I need to be. Wardeh did a post recently on mayo. I used it as a guide but since I had made it before using only olive oil and we didn't like it, I used 1/3 cup olive oil, 1/3 cup coconut oil and 1/3 cup sesame oil. And I used the blender to mix it up. I blended all the oils together and made sure to add them very slowly. I drizzled in a tablespoon of oil at a time until I had about 5 tablespoons in then used the pour spout from my measuring cup. I did discover I needed three hands so had to enlist help of a daughter. The mayo did turn out super good. 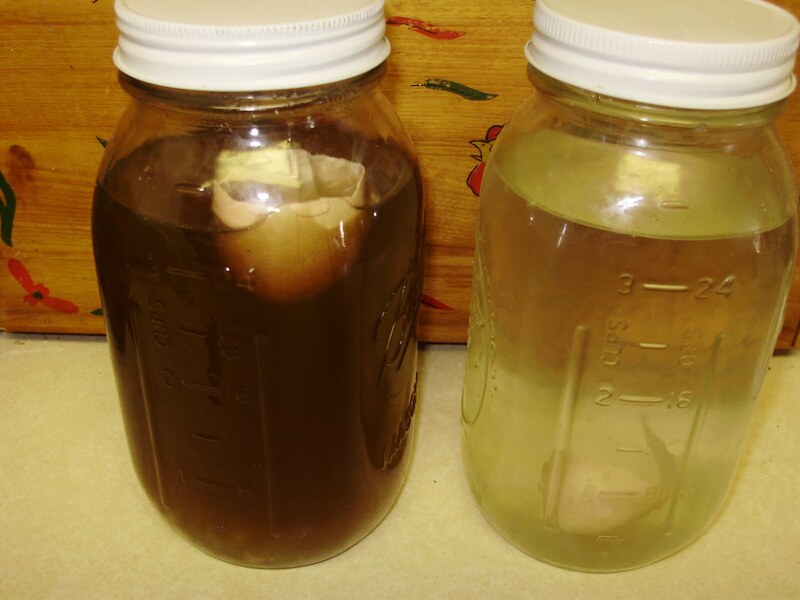 >i'd love to know how you make your kombucha. what do you start with?